Low and behold, our library is back into renovation/complete mess/looks like Liz’s room mode — but with good reason! 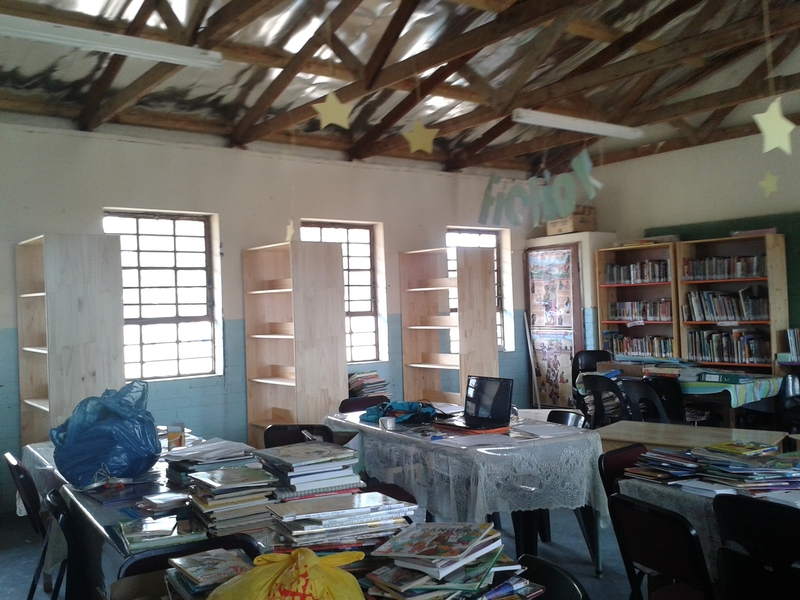 Ben of the David Rattray Foundation recently met with my principal and I to discuss renovating our library, as a thank you for the Books for Africa project. 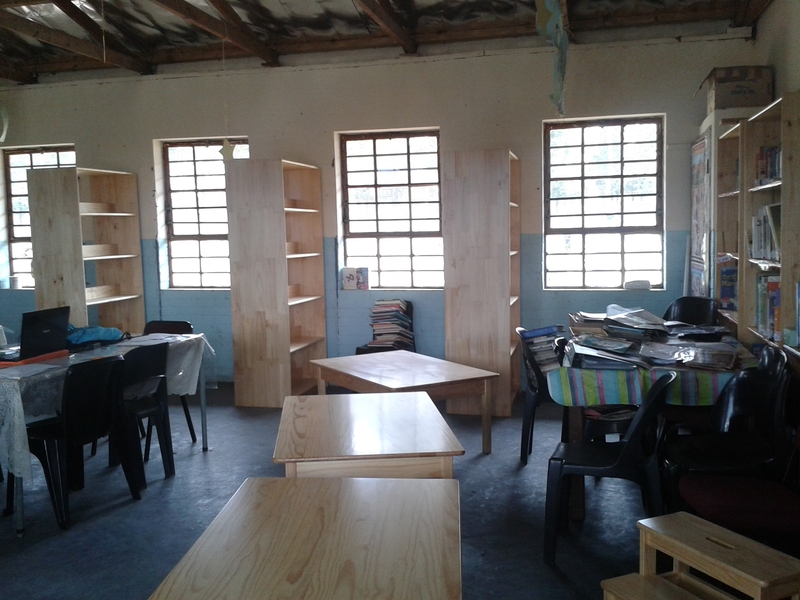 We agreed that DRF would supply new shelving and furniture. 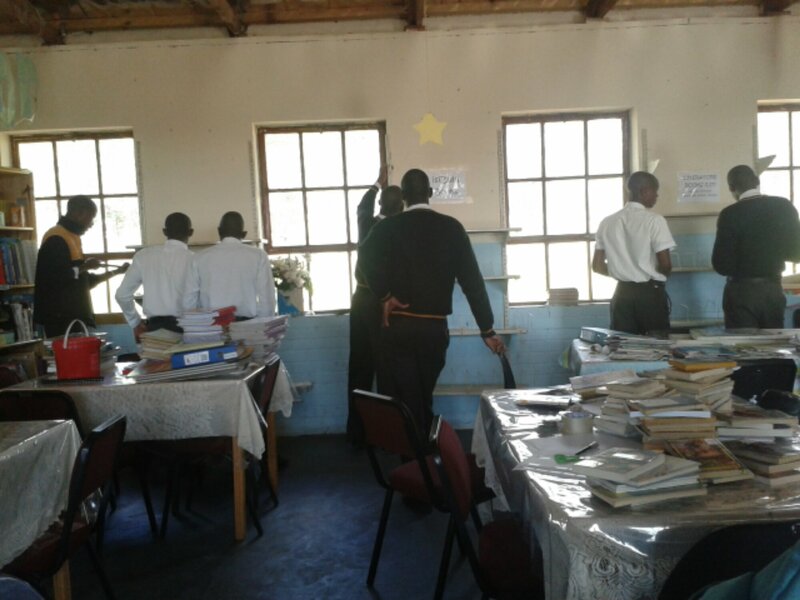 My principal was to add burglar bars to the windows and compromise with the secondary school — to receive five boxes of secondary books from our first project, the grade 12 boys would come and take down this awful metal shelving for us. I was in charge of organising my host mom to make curtains for the windows. All did and done in about two months! We’re in the process of re-labelling all the fiction books (more to come on why we are doing that part of the renovation process again…) Yes, you heard right. More. Labeling. I’ve got a mean team of staff members and learners who have been helping and making me laugh during the process, so it ain’t so bad after all! Teamwork makes dreamwork and it goes so much faster with more hands. Look at the awesome furniture below! I am so ecstatic I had to post pictures, and so are the grade 7s who used every positive descriptive adjective they could to describe these wooden beauties. 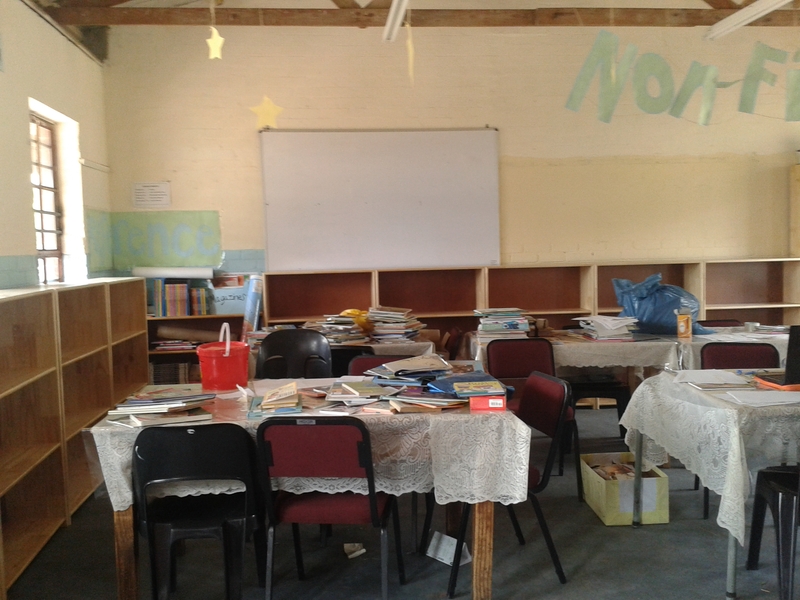 Now that we have the room for the books, we can’t wait to finally, finally, finally make this the best it can be. Three has always been my lucky number. Third time we’ve mixed things up in here. Third time’s the charm, right? Thank you DRF! Stay tuned for more presentable and not things-all-the-place-ultimate-chaos pictures.